Well its been a scorcher hasn't it ? certainly not the weather for dogs, or my owners for that matter. Last weekends hot weather saw them deciding to re landscape the pond area of the garden, the Master digging trenches, mixing concrete and disc cutting brick walls !! The new pond has arrived, hopefully I wont fall into that one once it is installed. The pigeon saga is still ongoing, they seem to delight landing close by and then taking off just as I manage to get near. The mistress has been recalling her childhood days watching Dastardley & Muttley and the theme song "Stop the pigeon"
The Patchings Festival preparations have stepped up this week, the Master spending a whole day "refreshing " his pastels, sounds like hard work to me. It seems like it will be a fantastic 25th Anniversary Festival this year, lots to see and do for all the family and dog friendly too. The Mistress has designed the promotional T-shirts they will be wearing to Patchings and I feature on the back…fame at last. At least I will be at there in some form, as due to my behaviour last year I'm not allowed to visit this year. The new Oil Pastel book has changed its release date and now will be available from the end of October, I have to say again how excited I am to be featured in the new book. Editor ~ a person who assists the author with producing the book and layout, in my Masters case for the Oil Pastel book it was Beth, at times a little confusing as the Masters daughter is also Beth ! Blads ~ a promotional leaflet with the book front cover, price, publication date and snippets from the book, I am featured on the third page of the blad..more fame. For a bit of fun for this months blog, I pondered as a new supermodel of the canine world for featuring in the Masters new book, what doggie supermodel names could I dream of ? This is the list that came to and apologies to the real life models x If you think of anymore please email in, it would be fun to compare names. Here are some photos from last month, sorry about the demise of the duck toy, it only lasted 10 minutes ! Hello and welcome to "Freyja's Tails". 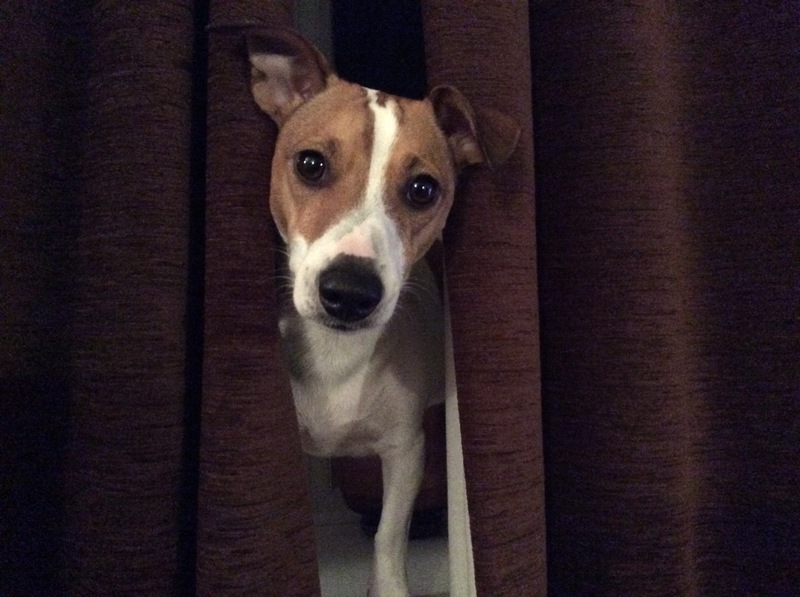 I am a Parson Jack Russell, with a little bit of Beagle added in from my Dads side of the familly. My mistress and I have pawed our way through building the masters brand new website.